We've selected three new venue packages to help you to get 2019 off to the perfect start. Check out Twickenham's new hospitality nights, HMS Belfast's discounted DDR and Dining offers, plus an agency incentive from Butlin's. Twickenham Stadium has launched a series of events featuring high-profile food and sports personalities. 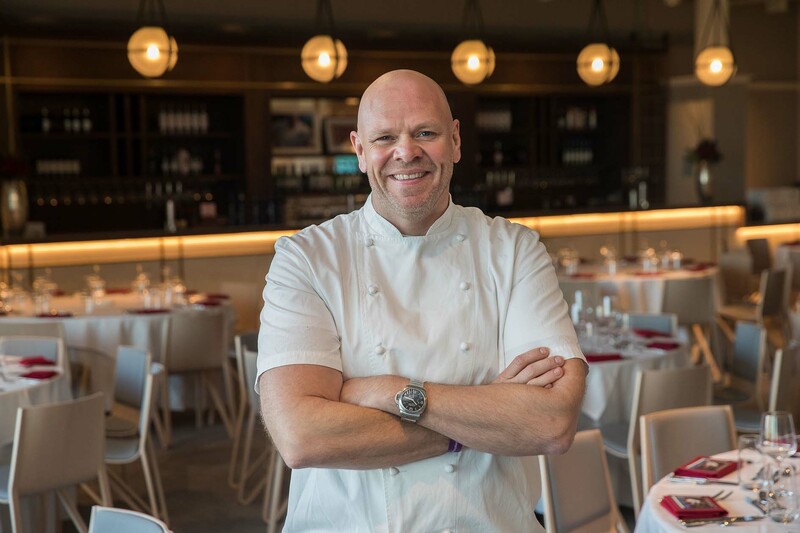 The first two packages will take place in March and April and feature two-Michelin Star chef Tom Kerridge and Rugby World Cup winning captain, Martin Johnson CBE. On Thursday, 7 March, guests are invited to experience an exclusive evening of hospitality with ex rugby legends Martin Johnson CBE, Serge Betsen, Craig Chalmers and Sir Gareth Edwards. The evening will include a panel discussion and review of the current Guinness Six nations tournament, followed by audience Q&A hosted by World Cup winning team member Kyran Bracken MBE. Then, for one night only on Thursday, 4 April, celebrity chef Tom Kerridge will be heading to The Gate restaurant at Twickenham Stadium. Guests will enjoy a five-course menu with cocktail and canape reception and the opportunity to meet and greet Kerridge himself. Ex England rugby legend Kyran Bracken MBE will host a Q&A with MasterChef semi-finalist Neil Back MBE. Limited premium tickets are also available for a pre-drinks reception in the England Changing Rooms. Tickets start from £249+VAT per person and can be purchased via the stadium website. Europe’s last remaining Second World War cruiser, HMS Belfast has launched discounted on-board DDR and Dining experiences, valid until March 2019. For groups of 18 guests or more, meeting room hire and free access to explore all nine decks of the museum is now £50+VAT per person. This limited-time only DDR package includes arrival tea, coffee and biscuits, a hearty homemade sandwich and soup lunch, projector screen, Wifi and table stationary. For £61.50+VAT per person, groups of 18 guests or more can also book a two-course dining package with a half bottle of wine per person. Also included is an arrival glass of Prosecco, 1940s background music, event management services and free access to explore selected areas of the museum. Butlin’s Conference & Events is chasing away the New Year blues, offering event management agencies an extra 2% commission if they book an event at any of its three resorts by 31 March 2019. This additional 2% commission is on top of the standard Butlin’s Conference & Events commission rate. Butlin’s three coastal resorts (Skegness, Minehead, and Bognor Regis) can cater for conferences and events of all shapes and sizes, as well as a variety of team-building away-days, and offer a daily delegate rate from just £29 per person. The resorts’ wide variety of unique event spaces and facilities are complimented with modern accommodation, a range of restaurants including the new ‘Pub & Kitchen’ concept, and superb team building facilities.